Stage 11 is a short but intense route. The Col de Bisanne is similar to Alpe d’Huez in terms of its gradient. The Col du Pré is a climb that’s new to the Tour. Given the compact nature of the stage, a contender who’s lost some ground in the overall battle could use it as a springboard for an all-out attack. 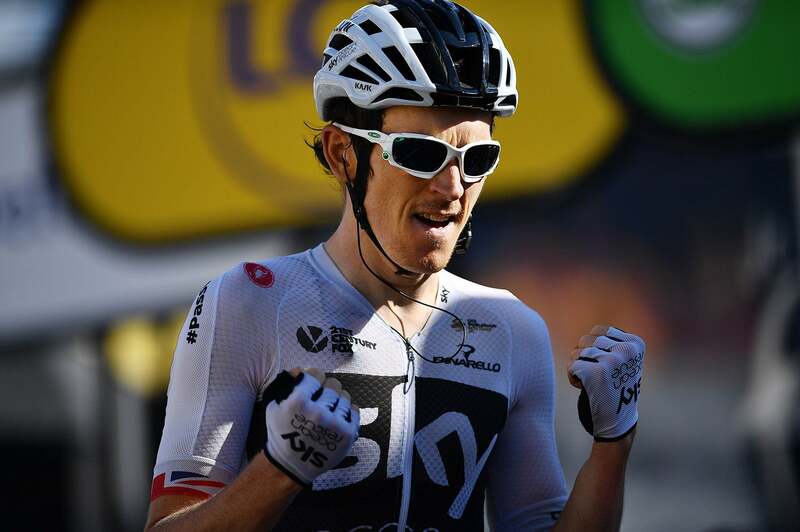 Mikel Nieve came excruciatingly close to victory in stage 11, but Geraint Thomas swept up from behind Mitchelton-Scott’s climber to win atop La Rosière in the final kilometer of racing Wednesday. 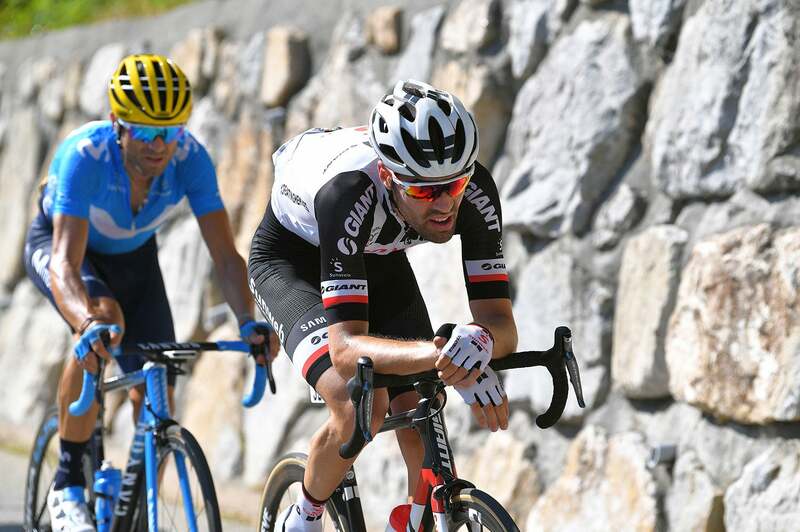 After an early attack off the top of the penultimate climb, Tom Dumoulin (Sunweb) edged Thomas’s Sky teammate Chris Froome for second place on the day. With the stage win, Thomas moved into the overall lead, 1:25 ahead of Froome. Dumoulin sits third on GC, 1:44 behind. Thomas admitted he felt a bit sorry for his former Sky teammate Nieve, but the Brit had a job to do at the end of the 108.5-kilometer stage. Nieve had been in the breakaway all day long, which at one point was as large as 26 riders. Julian Alaphilippe (Quick-Step Floors), winner of stage 10, was among the attackers. 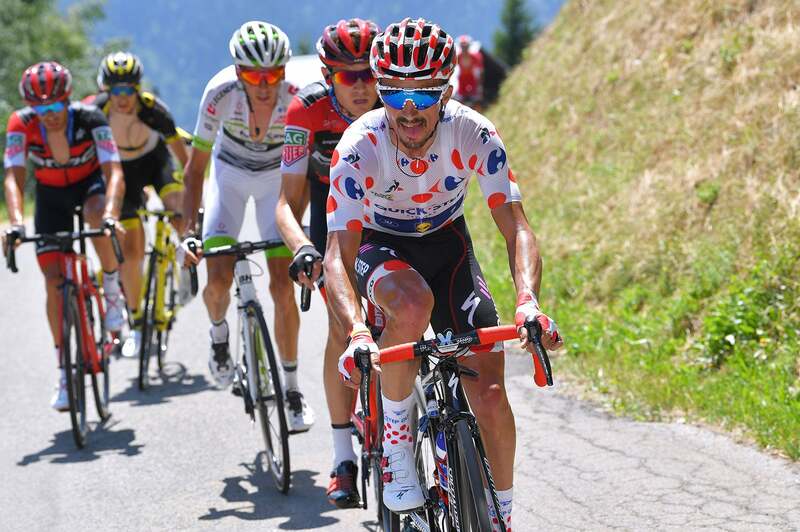 Wearing the polka-dot jersey, he shored up his lead in the king of the mountains classification, riding first over the top of Montée de Bisanne. After that first categorized climb, the Frenchman was dropped as the breakaway came apart. 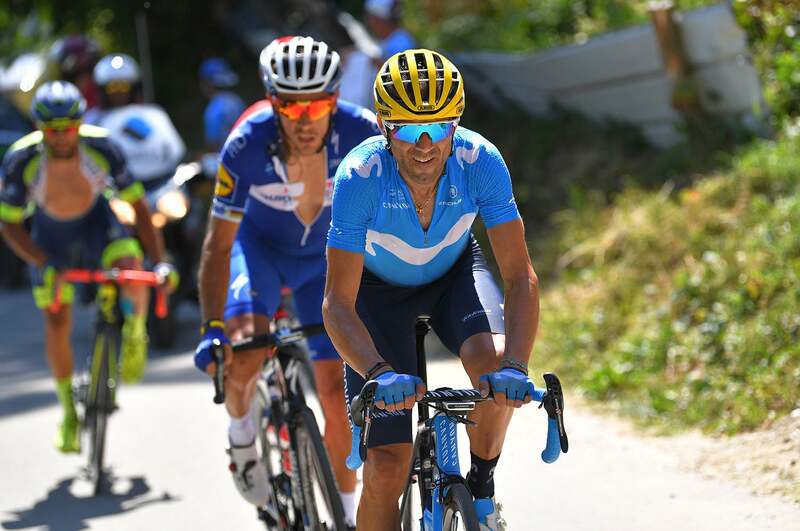 In the group of GC favorites behind, Movistar’s Alejandro Valverde went on the attack on the day’s next climb, Col du Pré. The Spanish team set it up perfectly, with Valverde’s teammate Marc Soler dropping back to help set the pace. 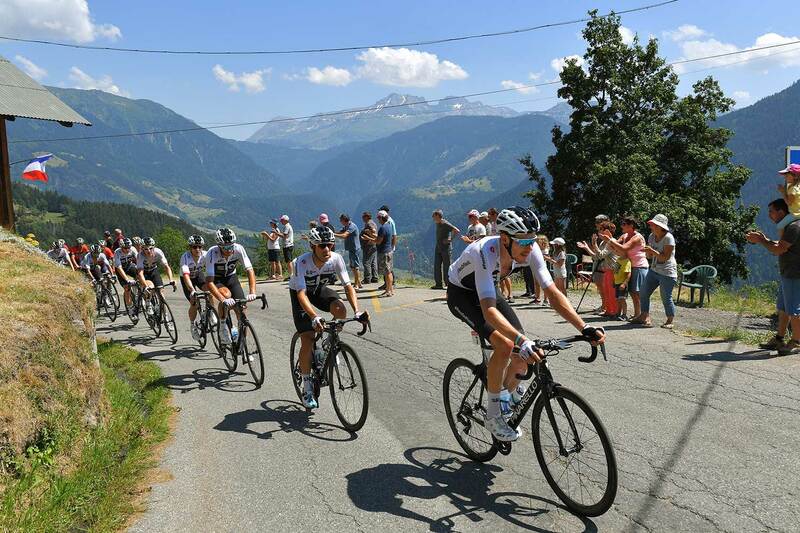 The duo went over the top of the day’s third peak, Cormet de Roseland, with a 40-second lead. This Cat. 2 hill came following a short descent off the hors categorie Col du Pré. From there to the base of the finish climb, the route featured a long, steady descent. 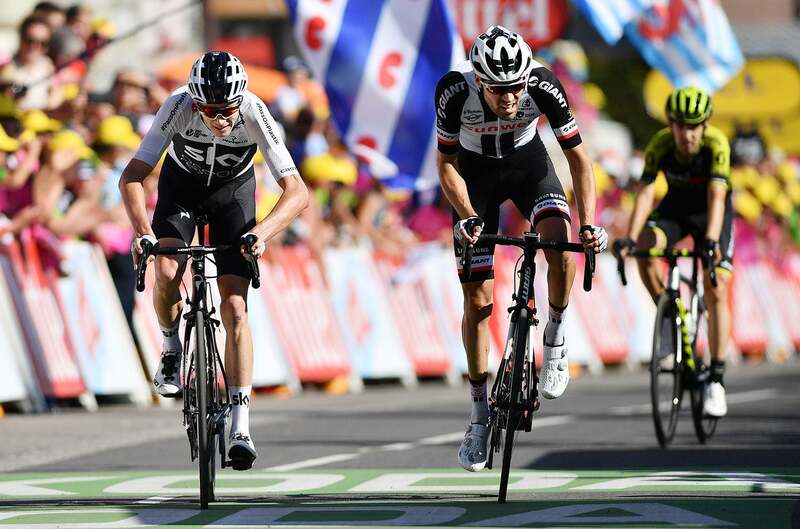 On that stretch of road, inside the last 40 kilometers, Tom Dumoulin rode clear of the peloton, which still counted six riders from Team Sky. Like Valverde, Dumoulin had a teammate up the road to provide support, Soren Kragh Andersen. The Sunweb duo caught the two Movistar men with one final climb remaining. Soon, it was just Valverde and Dumoulin as Andersen and Soler ran out of steam. 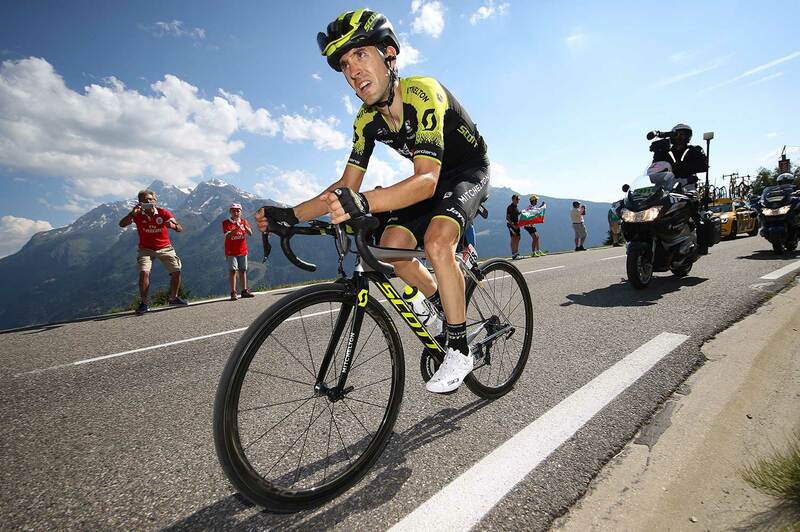 Meanwhile, not far up the climb to La Rosère, Nieve launched his move with about nine kilometers remaining, just after the Cofidis duo of Dani Navarro and Jesus Herrada had reconnected with the leaders. Valverde did his best to stay on Dumoulin’s wheel as the world time trial champion set a steady pace on the gradual final climb. However, the Spaniard was dropped inside the final 10 kilometers. 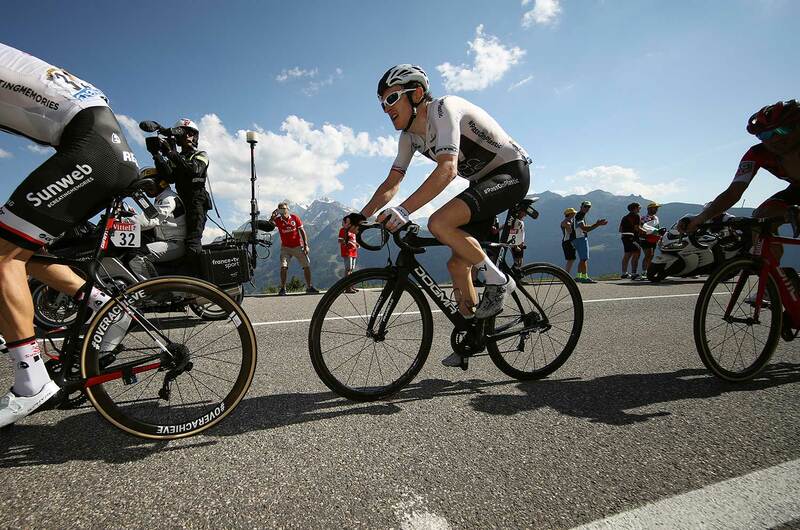 With Dumoulin dangling out front, Thomas made his winning attack with about five kilometers to go. The acceleration further whittled down the front group. Only Froome, Nairo Quintana (Movistar), and Romain Bardet (Ag2r La Mondiale) could keep the Welshman in sight. 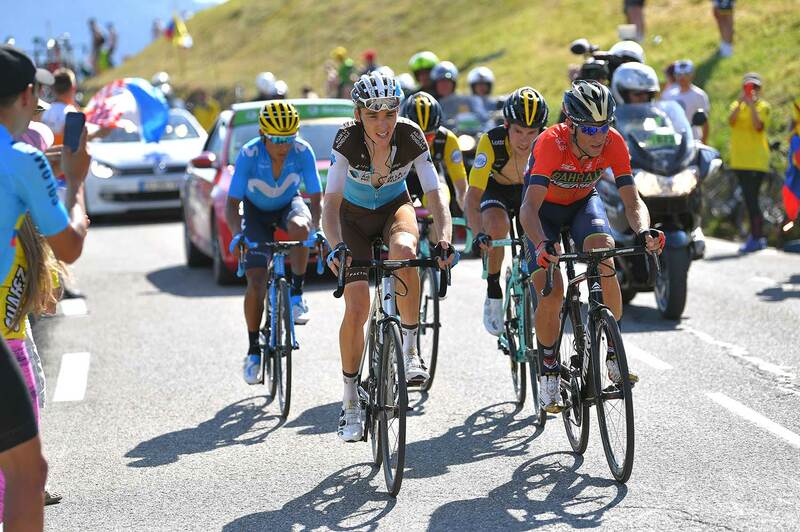 Froome was not about to chase his teammate; Quintana and Bardet seemed unwilling or unable to challenge him. So the pace ebbed and the trio was joined by Vincenzo Nibali (Bahrain-Merida), Primoz Roglic and Steven Kruijswijk (LottoNL-Jumbo). 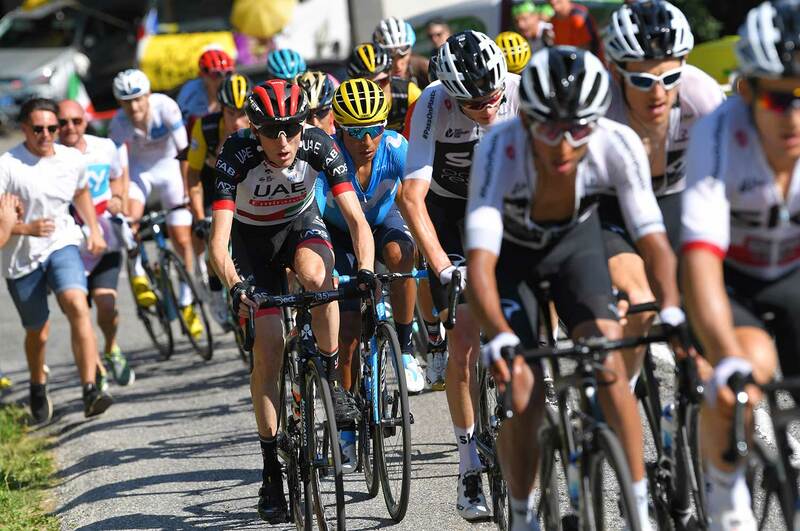 Then, out of the blue, Dan Martin (UAE Team Emirates) flew past the chase group from behind, and Froome was quick to jump on the wheel of his fellow Brit. The two made progress and caught Dumoulin, who’d been dropped by Thomas. Thomas attacked in the final kilometer and quickly brought back Nieve’s 20-second advantage to win the day. After dropping Martin, Froome briefly distanced Dumoulin with 1km to go. But the Dutchman battled back to catch the defending champion and pip him at the line for second place. 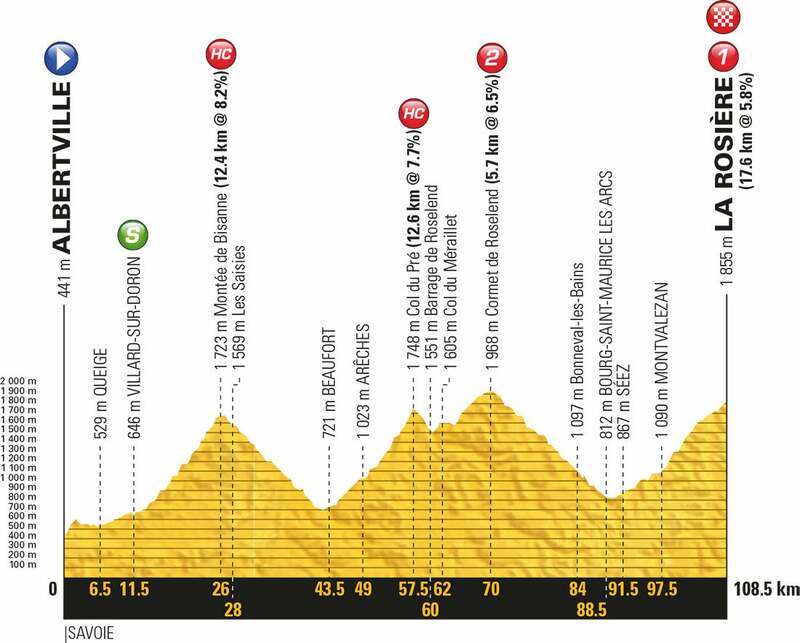 Stage 12 will be another Alpine challenge with four categorized climbs and a summit finish on Alpe d’Huez after 175.5km.